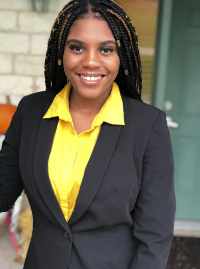 Tadiwa M., of North Central Texas Academy, was elected by her Youth and Government peers as the 2019-2020 Youth Governor. She is a 5 year veteran of the YMCA and Hatton Sumner sponsored Youth and Government program. Tadiwa has participated in the legislative section during her tenure, serving in committee as chair/clerk, President of the Senate, and has been named Distinguished Delegate in previous years. The Texas state conference of Youth and Government was held January 24-27, 2019 in Austin. This is a high honor in the state of Texas, and we are proud of Tadiwa!